Slide the Classroom into the Great Outdoors! 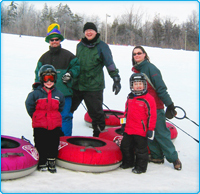 Chicopee Tube Park provides a safe Snow-Sliding activity and is an ideal introduction to winter sports, one of many provided in the Chicopee Hills area. 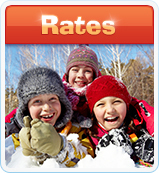 We’re close to home and willing to go the extra mile for your Tubing Snow-sliding experience. · We will provide a complimentary day pass to one supervisor for every 10 students and encourage supervisors to take part in the activity and enjoy the slopes. 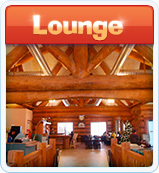 · Located just minutes from the 401 in Kitchener/Waterloo, we are close to home. This means less bus time, less cost, more slope time and more value. Click here to get directions. No security deposit required for school groups. · Lunch facilities are available for students who wish to bring a litterless lunch or purchase food items from the Chalet Café. 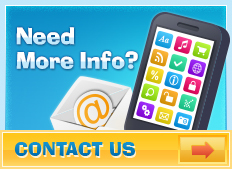 · Forms of payments: Visa, MasterCard, school cheque, debit or invoice. We require a school supervisor to check in at Guest Services by 1:00pm to confirm payment. A - School bookings available throughout the day. Minimum 20 required. 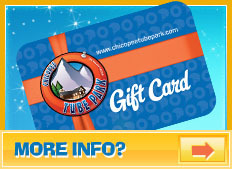 SR - Special Request: Chicopee Tube Park will open given at least one week booking notice. Minimum 60 student required. · Purchase all tickets together and distribute to students. · Have students remain on bus until safety protocol has been reviewed by a Chicopee Tube Park staff member. · Children 12 and under are required to wear a helmet. It is our policy to ensure that we stand behind and follow the safety guidelines set forth by your School Board, the Ministry of Education, Ontario Ski Resort Association and especially the safety guidelines recommended by the Ontario School Boards Insurance Exchange. 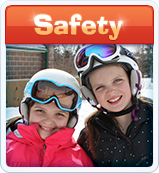 To review the new OSBIE helmet rules related to outdoor winter snow sport activities for school outings click here. It is recommended that you discuss helmet use for snow sport outings with your school principal to confirm your schools position on the new OSBIE rules and regulations. · You will receive a confirmation form once the date and time has been confirmed. · Review the Teacher Checklist / Participant Verification Form. The Participant Verification form must be completed and returned to the office at least 1 week prior to trip date. · A Parent Consent/liability form is available for your convenience.